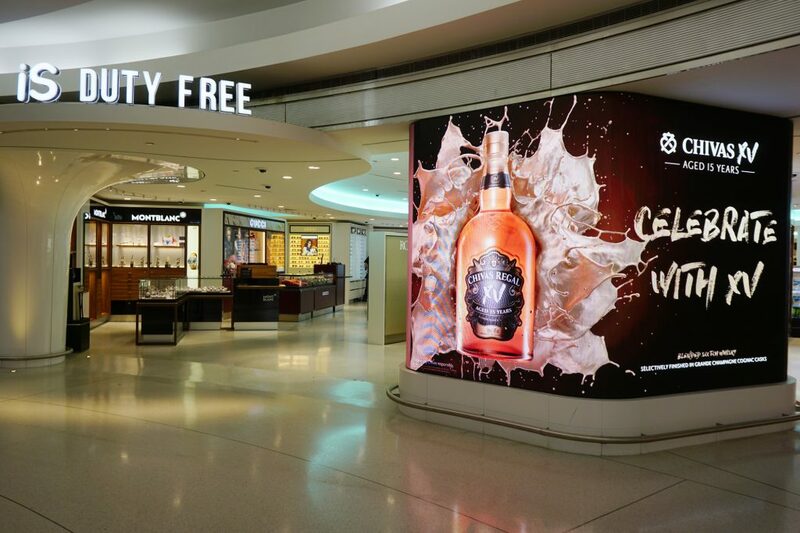 The stunning entrance of the new International Shoppes duty free store at JFK Terminal 1 is dominated by a 17-foot video wall. 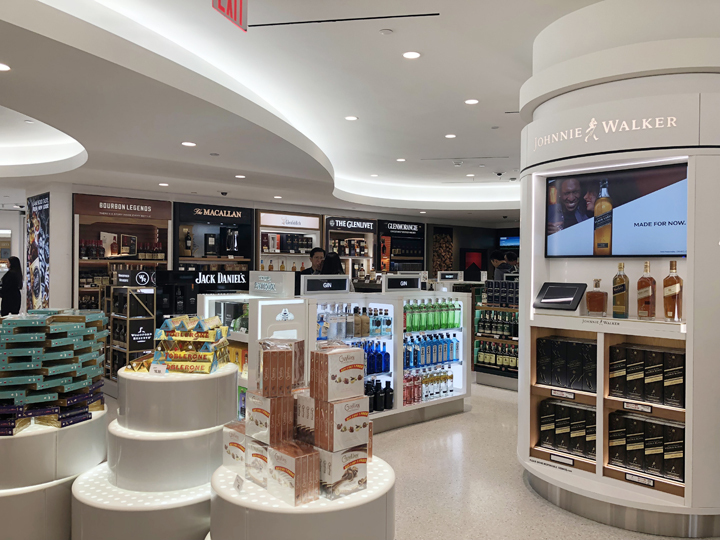 International Shoppes’ transformation of its duty free offer at New York’s JFK Terminal 1 took another giant step forward with the opening of a stunning, upgraded 5,800 sqf liquor, tobacco, confectionery, and luxury store last month, designed to elevate the customer experience to new levels. The new store follows the opening last year of IS’ award-winning 7,200 sqf stand-alone Beauty Store, which permitted IS to devote more room to showcase the non-beauty categories in their own store. The Beauty Store, for which designer Studio V Architecture won a gold medal at the 2018 New York Design Awards, is in the space originally occupied by Japan Airlines’ First Class lounge, which is now sharing space with Air France’s First Class lounge. 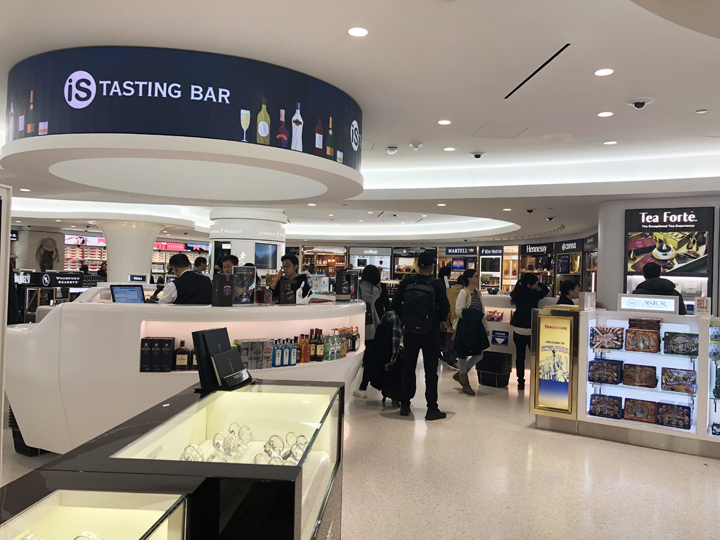 IS Vice President Scott Halpern says the two IS stores, which are directly across from each other past the TSA checkpoint, together create an inviting, welcoming experience for the consumer. The elements of the two shops —in terms of the store fronts, the signage, the lighting and the structural design – create a mirror image. With the IS stores covering 13,000 sqf of space between the Beauty Store and the new store, brands have the space to bring experiences in the right way, says Halpern. Halpern says the first thing the consumer will notice are the striking new main entrances, which have more than tripled in size and allow shoppers to see deep into the store. 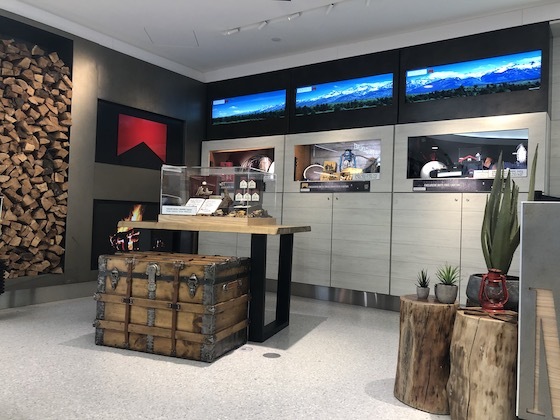 The main visual feature is a 17 foot wide, 7.5 foot high video wall that separates the confectionery section from the watches, jewelry and luxury side and showcases a rotating selection of major brands. One prominent highlight is IS’ tasting bar for spirits in the center of the store. “We have a tasting experience that changes every week to engage the consumer, complete with LED panels with animations above the bar. While we are holding the tasting, the brand’s name and logo come up to speak to the consumer. The bar is the first touch point to liquor,” says Halpern. Highlights of the spirits section in International Shoppes new T1 store at JFK include a first of its kind in the Americas Johnnie Walker unit as a centerpiece; personalized areas for top brands as well as small batch and local spirits, and a centralized tasting bar flashing state-of-the-art LED panels. 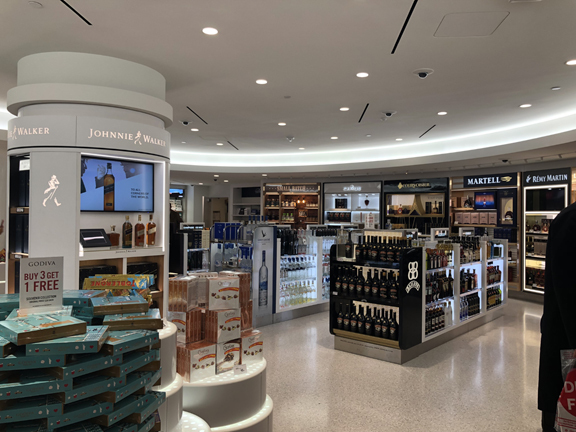 The spirits section has personalized areas for Jack Daniel’s, Jim Beam, Macallan, Glenlivet, Glenfiddich, Balvenie, Glenmorangie, Altria Wine, Tito’s, Crown Royal, Dalmore, Jameson, Chivas, Dewar’s, Camus, Martell, Courvoisier, Remy, and Hennessy, as well as a section for small batch and local spirits. Halpern notes that Terminal 1 in JFK serves passengers who expect a high-end experience with recognizable premium and luxury brands. 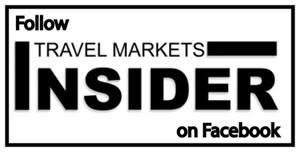 Key airlines include Air France, Luftansa, Korean Air, Japan Airlines, Aeroflot, Eva Air, Air China, China Eastern, Austrian Airlines, Turkish Airlines, Air Alitalia, and others. “I think the whole remodel across the terminal is catering to an upper level consumer experience. We are looking to engage with the consumer. Someone might love Johnnie Walker Red or Black, and if they want to buy one or two obviously we service them. This inviting entrance to the store welcomes shoppers to a fully personalized confectionery offer. Along with doubling the size of the confection area, the new 45 foot entrance invites shoppers to come in and engage, says Halpern. “Our confection sales have been way above expectations. It is exciting to see the way the consumers react, how they gravitate to the experience. IS also has personalized areas for the first time for Hershey’s, Mars, Ferrero, and Tea Forte. The ground-breaking new tobacco section International Shoppes developed in partnership with Altria. IS partnered with Altria to develop the tobacco section, with a new design available for the first time in North America. One third of the area is dedicated to Marlboro. “We are quite proud of our partnership with Altria. We have developed their first ever Phillip Morris counter. They took it to a whole other level. The tobacco section is 46 feet long, the whole back wall. It is big and it is truly amazing,” said Halpern. 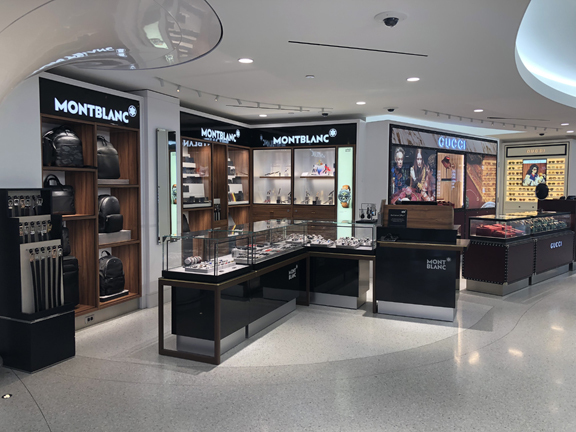 Luxury counters for Montblanc, Gucci and Tissot are among the featured brands in the new IS T1 store at JFK. Past the main entrance with the 17-foot video wall, IS features luxury watches and jewelry, and sunglasses. Gucci, Hermès, and Tissot occupy their own space for the first time in branded shop-in-shops. New brands like Chopard are available in the store for the first time. Sunglasses cover their own 500 sqf area. “The majority of existing units have grown their footprint to allow the brands to properly represent themselves and interact with the consumer in a way that will help create an experience,” says Halpern. 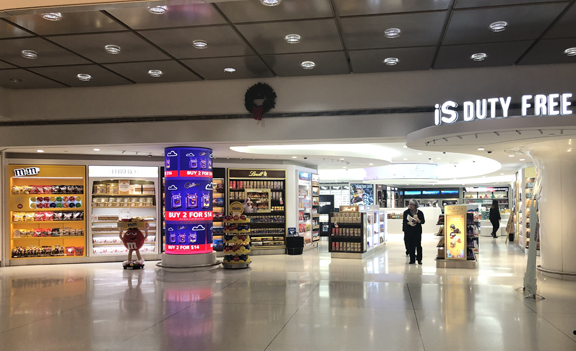 Despite the massive renovations already completed, IS has more plans in the pipeline, including debuting a major luxury brand in an airport in the U.S., says Halpern. “In the early part of next year we will be the first company in the country to have an Yves Saint Laurent store [in an airport]. We will be putting in a roughly 950 sqf YSL store,” he confirms. IS also operates stand-alone boutiques for Bulgari, Ferragamo, and Coach and also for Hermès, which it will completely renovate in the spring. A little over a year after its opening, IS is already planning to make changes to the Beauty Store, after acquiring some 400 square feet of additional space. As a result, Chanel, Christian Dior, and SK-II will each have more space to showcase their brands. “We are going to create a walk-through Chanel experience by moving the brand from the middle of the store to the entrance. We are increasing the Chanel space from roughly 300 sqf to 400 sqf and will add Chanel sunglasses,” says Halpern. Halpern says IS is always ready to make the right changes to compete and thrive in today’s retail environment.